United States President Donald Trump has made clear his plan for world trade contrasting with his Chinese counterpart, Xi Jingping, during a summit speech in Vietnam on Friday. 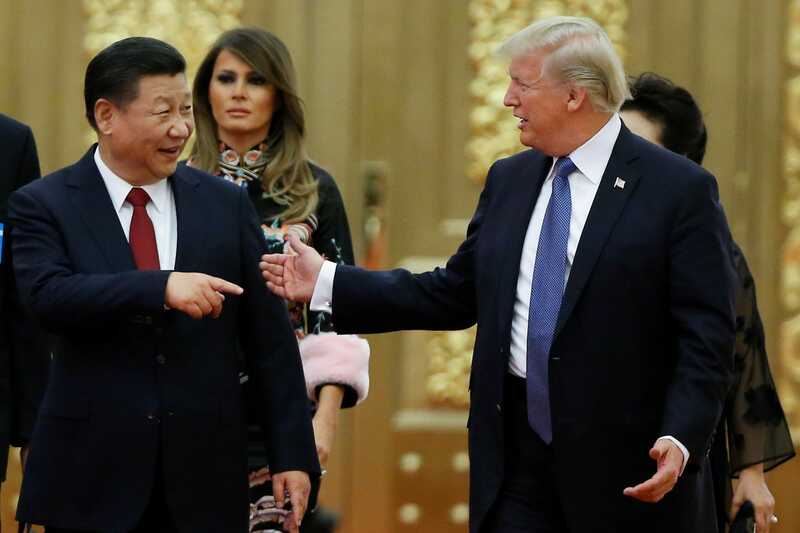 Mr Trump told the Asia-Pacific Economic Cooperation, or APEC, that Washington would no longer allow for “chronic trade abuses” following his long-standing rhetoric of “America First”. Trump also attacked the World Trade Organization at APEC in coastal Vietnamese city of Da Nang, saying that not all members have been fair in tariffs causing trade imbalances. He made clear that he did not blame China or other APEC countries, saying that past US administrations have not worked to reverse the trend of keeping market barriers up and introducing tariffs. In contrast with Trump, President Xi said that globalization was an “irreversible historical trend”. Mr Xi took the podium minutes after to promote his country as the new standard of global and free trade. The Chinese president free trade needed to be “more open, balanced, more equitable and more beneficial to all”. Xi stressed that multilateral trade deals were crucial in helping poor countries and strengthening the world economy. He called for support for a “multilateral trading regime” and “open regionalism” to support developing countries. More details to follow. Image 1 of Donald Trump and Xi Jingping from Business Insider.